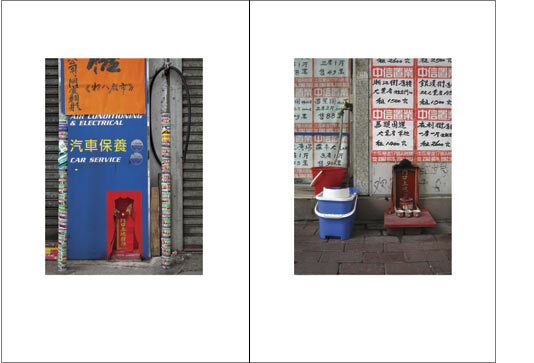 For Michael Wolf Hong Kong is a lifelong love affair. 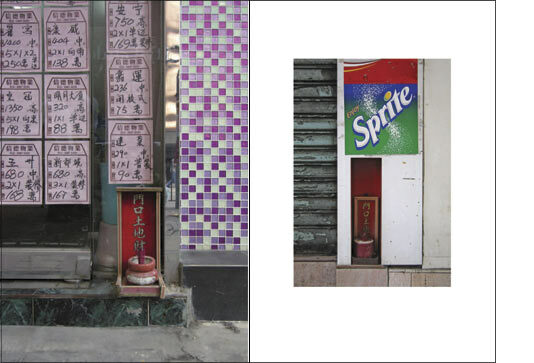 With its outstanding architecture, vital dynamics and rich vernacular culture Hong Kong was the inspiration and starting point for his ever growing body of work about life in megacities and some of the most important series have been created here. 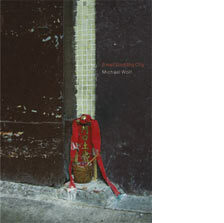 But Michael Wolf is also worried and his main concern is that inevitable new urban development is done in a way that doesn't leave enough space for diversity and individual expression and as a result the city loses more and more it's unique flavor. In this respect the Earth Gods series is his most radical statement. 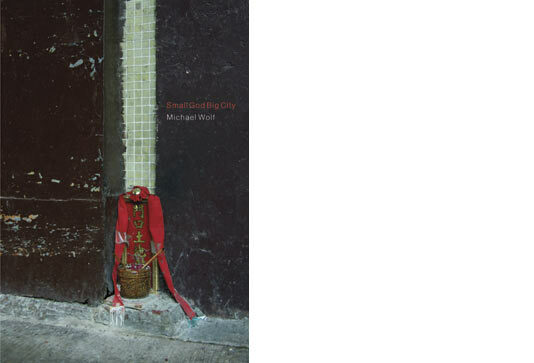 Probably Michael Wolf doesn't burn incense for the Earth God but with this book he does for those who do and all the other people who contribute in their own way to the thrilling city experience. 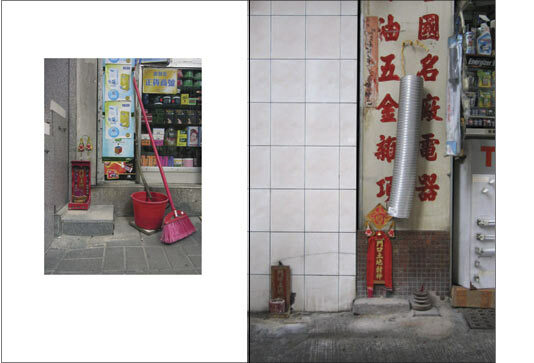 The Earth God shrine is found commonly by the doorways of shops and homes throughout Hong Kong, but Michael Wolf may well have spotted them first as peripheral figures in his own photographs of the extended Back Door series, that celebrate the beauty of Hong Kong's vernacular culture. Once infected he saw them everywhere and choose them as the heroes for this new series. May they be indifferent for most and unloved by many, may they be made of cheap premanufactured materials and may the offerings be poor – these small gods still outshine with ease all the dollies, hosepipes, jerrycans, brooms and buckets, that accompany them down on the big city's earth. 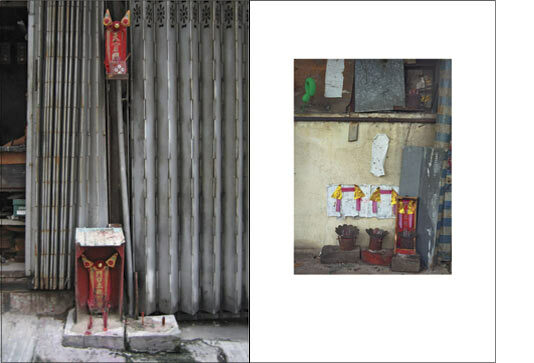 An essay provided by Lee Ho Yin and Lynne DiStefano leads readers to a better understanding of Earth Gods and the contemporary meaning behind these photographs of diverse shrines in bustling urban contexts. Interviews with several shrine custodians also help to illuminate the continuing relevance of these shrines in daily life.